Hospice is the last stage of the end-of-life process. It is when the patient decides to stop receiving a cure for a terminal illness. However, this stage doesn’t mean that nothing could be done anymore. We at Flex Health Care are here to give our care and support the best that we can during the time when you need help the most. We’re on-call 24/7. Prompt assistance is only a phone call away with Flex Health Care. We’ll hold their hand. Our caregiver will cook meals, walk them to the bathroom, and provide support for other daily activities. We’ll provide relief and encouragement for friends and family. You deserve care and support, too. 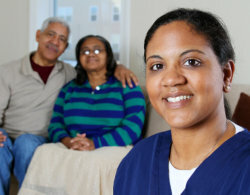 Talk to us today at 845-345-6503 and ask about Non-Medical Home Care in Poughkeepsie, New York.